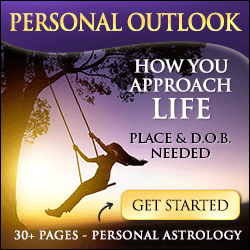 Free weekly horoscopes and weekly astrology forecasts are released daily by different astrologers. We've organized this week's horoscope by the day of the week, then by astrology website/astrologer and then by zodiac sign. Readings are appropriate for sun, moon or rising sign. This page features free weekly horoscope forecasts beginning Sunday and Monday, which are the top days for astro predictions and there are dozens or hundreds of forecasts factoring in the signs. We provide another page with links to weekly horoscopes and astrology released Tuesday through Saturday. Simply choose the day of the week below to get zodiac horoscopes for the week ahead from that day; it's seamless from your perspective. Love, relationships and weekly romantic astrology are covered as well as general outlook and overview, career, business, financial horoscopes and money. You might prefer your free weekly horoscopes by zodiac astrology sign instead, where all links are just for one zodiac sign this week. In addition to your weekly horoscopes, weekly predictions and weekly astrology forecasts for the week ahead in our directory, we also offer our own free weekly horoscope prediction for each sun sign. Weekly horoscopes may feel more significant than daily stars, since the events unfold across a given zodiac sun sign with different timing. You'll be able to see this week's astrology predictions as well as next week's horoscope in many cases. For the same reason, you might like to check out your monthly horoscopes and yearly 2019 horoscope forecasts as well as the free weekly horoscopes below. We now feature next week's pet horoscopes and this week's Chinese horoscope predictions and 2018 astrology as well as help finding your rashi (sign) in weekly Vedic astrology too! Long term forecasts will help you see the astrological outlook beyond the week ahead. The links below are our favorite and can be checked daily, since new weekly horoscope forecasts are released every day of the week! Being the start of the calendar week, Sunday offers an astrological feast of weekly astrology. Top 10 Weekly Horoscopes NUMBER 1. Not a week has gone by that we haven't savored Jonathan Cainer's weekly zodiac horoscopes. We had the pleasure of meeting with him for a personal reading at his Psychic Museum in York and the same kind of personal forecasts are available at his website. His predictions were always insightful and he had a deep understanding of the human condition. Meditations on the day as well as daily forecasts are good, but it's his free weekly horoscope forecasts that kept us tuned in to his astrology. Now, Oscar Cainer is taking the torch and carrying on Jonathan's legacy, leveraging his vast library of pre-written forecasts as well has own new astrology. Check out also the monthly horoscopes in the premium spoken horoscope forecasts and check out your stars for 2018. Premium services usually include a video horoscope forecast for each zodiac sign. This site offers an analysis of the astrological climate for this week along with forecasts for each zodiac sign. This week's horoscopes, last and next week's predictions are always available and worth reading. You have to scroll down to reach the signs, after the overview for all zodiac signs in the week ahead. Here you'll find your general astro theme for the week, weekly love horoscope, money prediction and weekly business forecast. That's four weekly horoscopes, free! You can also get your weekly tarot reading for free! Eugenia Last's approach is to look at each day of the week. Her astrology is clear and concise. Whether you're interested in love and relationships or career and business, this site covers all astrological influences. The weekend forecast is not to be missed. The link below will take you to a page of daily scopes written by Christopher Renstrom, but there is a link to more horoscopes weekly and you can search for the current Sunday Minerva's weekly horoscope forecasts for this week for all zodiac signs too. Monday is also a big day online. Many good astrologers release their predictions, so be sure to check out the coming week on Monday! Top 10 Weekly Horoscopes NUMBER 5 This website is one of our favorite places to start the work week. Absolutely free and highly personalized, the scopes here are tailored to your exact place, date and time of birth. You can calculate your rising sign and get forecasts for your ascendant as well as your sun sign. Daily and monthly scopes are also available. Another very nice touch is the ability to add friends and family to see theirs. The astro forecast shows your love, health and career "weather". Top 10 Weekly Horoscopes NUMBER 7. There's something about Michael Lutin, his way of cutting through the BS and delivering straight talk, that we just can't resist. No other astrologer writes with the same passionate punch. The images he chooses to represent the astrological cycles are sometimes funny, sometimes disturbing but usually about right. Check out your stars with Michael Lutin for a free prediction like you've probably never seen before. TOP 10 Weekly Horoscopes NUMBER 8. One of a kind, Daniel's writing is refreshingly unique. Channeling the spirit, he always comes through with a theme that seems to tie this week's horoscope together and expresses it with a song. Olives? Geeshka, Daniel seems to love 'em. He also dishes up scopes every day, so why not drop by? Terry Nazon serves up in-depth free readings each and every week. She not only lists significant astrological events, but explains them in detail, giving in-depth interpretations of the position of the planets within the houses and important planetary aspects. Terry also offers a free natal chart. It's not superficial. This is a great opportunity to get your personal birth chart absolutely free! Don't let the name fool you! These are excellent weekly horoscopes from two very skilled astrologers. Rita segments her weekly forecasts by family, love, friendship, career and finances giving an overall rating to private life and money and professional matters. She summarizes state of mind and also provides karma numbers and buzz words. Deborah's weekly horoscope prediction is an overview format that flows wonderfully. There's something for everyone on this site. If it's your birthday horoscope you're after, daily, weekly, monthly or yearly outlook, there are all here. Plus you can peek ahead to next month or last month. We've also organized our weekly horoscopes and astrology predictions by sun sign for your convenience!